The Purpose of this page is to showcase horses we have bred or owned and their success in their various venues. We appreciate pictures from owners of these horses and their success stories. We know that without you these pages wouldn't be possible. 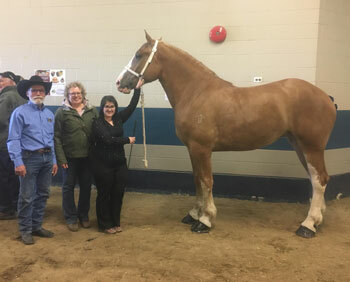 Successfully shown at the 2018 Draft Horse classic Futurity by Kim Fargo Buchberger. 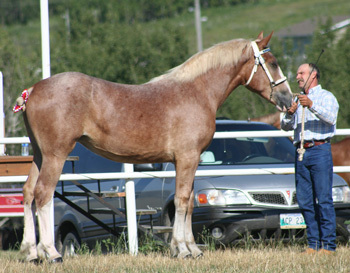 Hi selling weanling filly at the Draft Horse Clasic, winner of the 2yr old Pennwoods Draft Horse futurity and 2nd in the Draft Horse Classic at the Canadian Western Agribition. Futurity money earner in the Pennwoods futurity in 08. 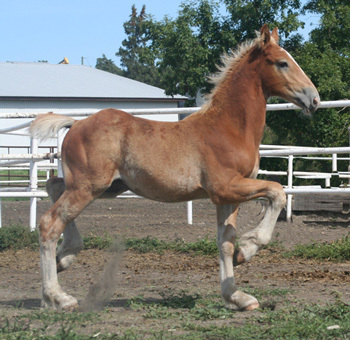 Watch for him in the 2008 Draft Horse Classic futurity. 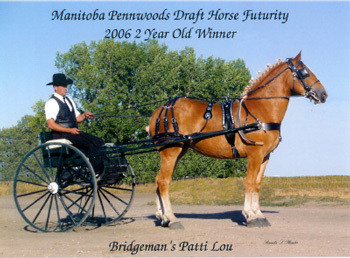 This colt is a futurity money winner in the Pennwoods futurity and winner of cart classes. 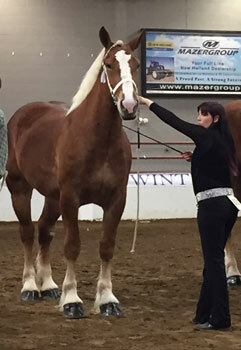 Best of luck to Brenda in the Draft Horse Classic futurity in Regina. 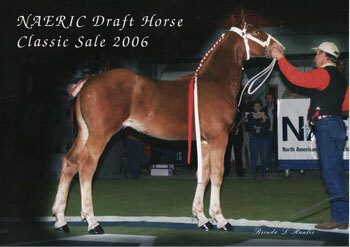 Hi-selling belgian colt at the Keystone draft horse sale and futurity in Pennsylvania in 2008. 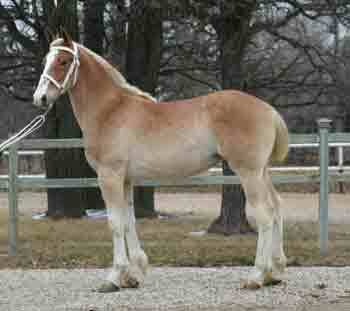 We have had the hi-selling belgian foal at this sale for the past three years. Thankyou to great customers and we look forward to seeing you in the futurity in PA.
Nice big mare that is broke to drive. 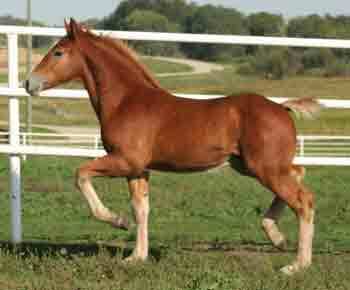 Stylish filly with lots of looks and action. Stylish filly with lots of looks and action. 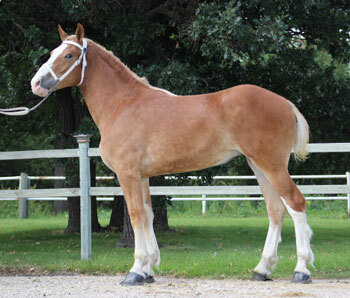 She is double bred Korry's Captain and the last foal sired by Biggerstaffs Captain Hook. Bottom pic is as a 2yr old successfully showing in the Pennwoods Draft Horse Futurity. 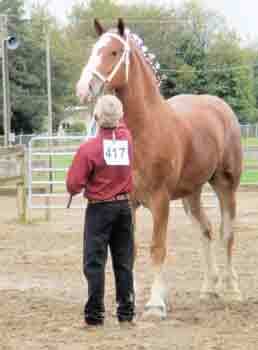 Big filly that showed successfully at the Draft Horse Classic and is now part of a 6 horse hitch. 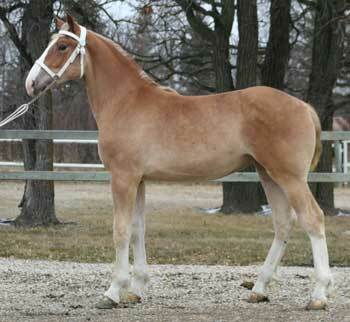 This filly showed in one furturity show as a 2yr old and is now one of our broodmares. 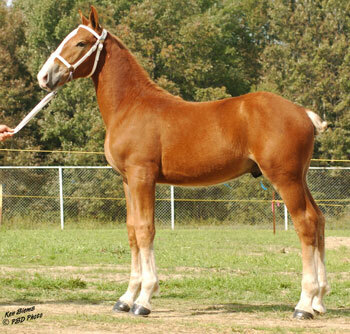 This filly showed in the Draft Horse Classic Futurity as a 3yr old. She is now a future broodmare. 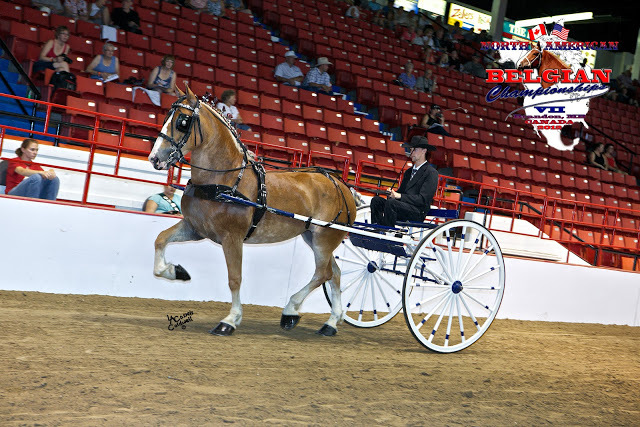 This filly showed in the Draft Horse Classic Futurity as a 3yr old with Kacee Gee...Kacee won the lady driver division, and was 8th overall. 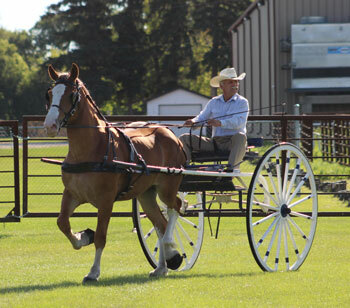 Shown in the 2016 Pennwoods Draft Horse Futurity and the 2018 Draft Horse Classic. 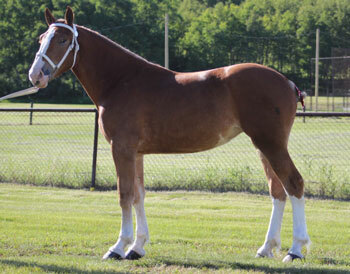 Thank you to Kim Fargo Buchberger for showing this mare. 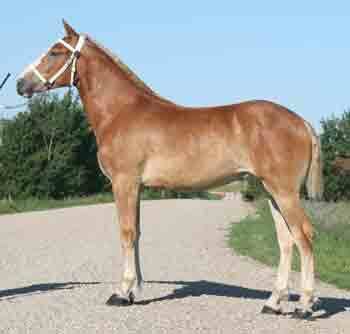 Sire of clean legged, good hocked horses....he is a broodmare sire. 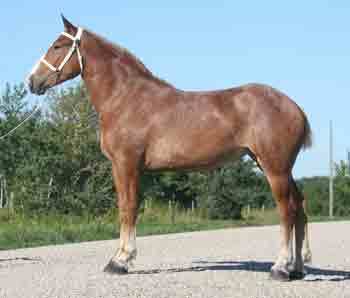 Grandsire of numerous futurity money earners, HI-sellers and champion Belgians across Canada. 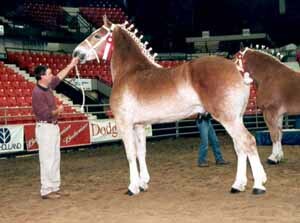 In 2000 he was a All-American Foal Stallion Nominees. 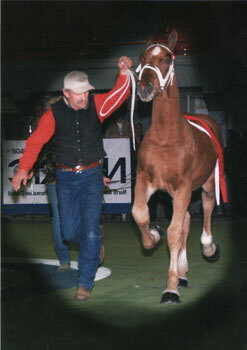 He showed in 2001 as a yearling and he won Grand Champion Stallion at Canadian Western Agribition. 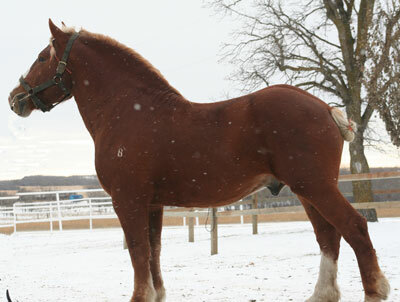 His sire, Korrys Captain is a five time All-American Stallion in North America. 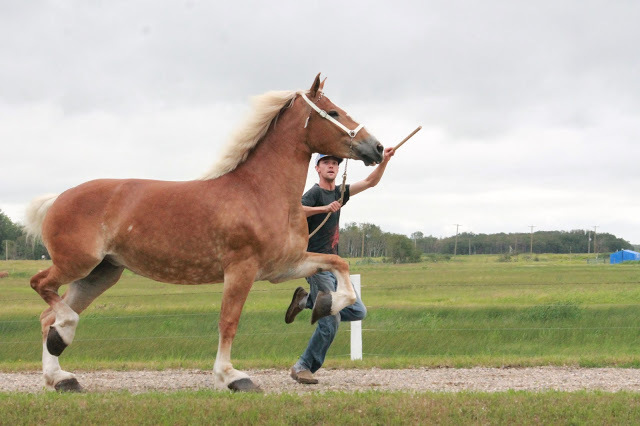 His colts show tons of potential in the draft horse world today.